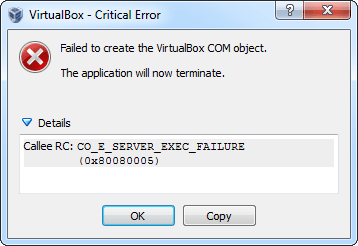 VirtualBox will not start and present a Critical Error dialog box which reads “Failed to create the VirtualBox COM object. The application will now terminate.” If you select Details for additional information, it may offer something similar to this error, if not the same, Callee RC: CO_E_SERVER_EXEC_FAILURE (0x80080005). Here is a solution that worked in this case and will get VirtualBox back up and running without losing any configuration changes. I recognize this error will likely occur on multiple versions of this application, however, for the sake of disclosure, the error occured using Oracle VirtualBox 4.3.6 on a Microsoft Windows 7 Professional (64-bit). During the re-install, I elected to upgrade to the latest, at the time of this writing, Oracle VirtualBox 4.3.8. 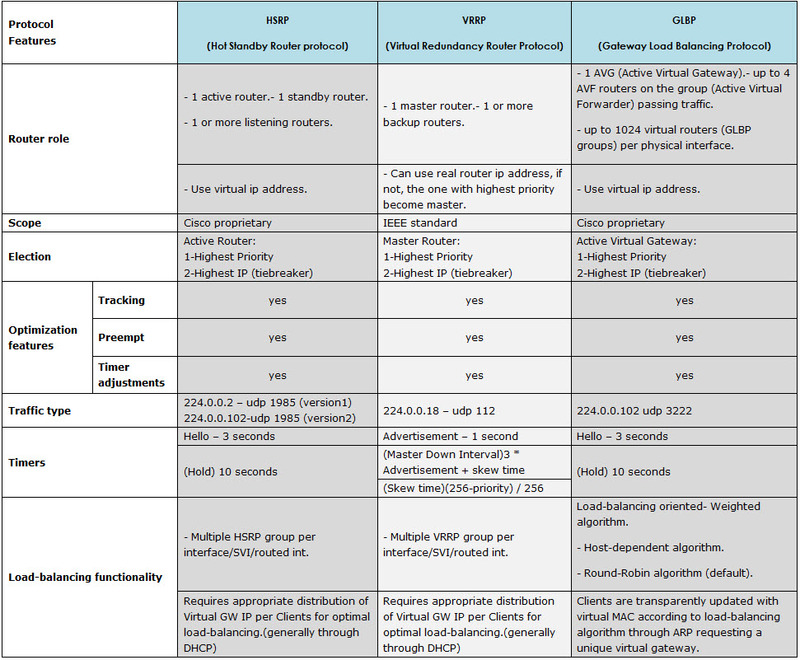 Re-install VirtualBox and the option package. Note: If you are presented with a hardware error message of some sort, here the corrections may be made. In my case, there was a referenced hard disk that was unavailable. So I deleted it using the configuration window that was presented. Everything should be working as expected.